A 33-year-old single mother of four, Aishat Akintunde has been arrested by men of the Nigerian police in Lagos after she allegedly swindled her Facebook lover of money and properties valued at about N5m. According to PM News, the woman duped her France-based lover, Ayobami Adeniyi, after she promised to marry him and also help him purchase a filling station in Nigeria. 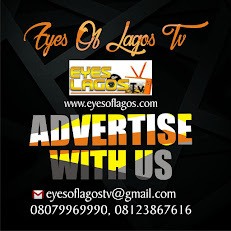 It was gathered that the woman got into trouble after selling an unregistered Renault bus with properties inside value at about N2.5m for just N1m. 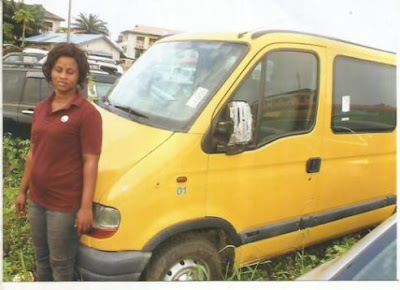 She claimed during investigation, that Adeniyi shipped the bus for her to sell, PM News reported. However, Adeniyi told the police to detain the suspect. When he got to the police station, after arriving Nigeria, Adeniyi narrated his ordeal in the hands of Akintunde. He said they met on Facebook in November 2016, where Akintunde told him that she was a divorcee. She had also told Adeniyi that if he was ready for a relationship he should send some money to her to rent an accommodation. But Akintude argued that she received only N1.5m from the complainant and not N5m. She said she sold the bus for N1m and used the proceeds to buy an uncompleted building at Sango Ota, Ogun State.